In New York trade on Wednesday copper rallied after much stronger than anticipated US GDP figures, reaching a high of $3.2625. Defying market expectations, the copper price dug itself out of a near four-year low struck mid-March of $2.92 a pound and has gained more than 7% since early June. The metal is now down only 4% in 2014. Primarily recovered from bauxite ore, aluminum was trading on par with copper in 2002, but while copper has quadrupled since then, the aluminum price has gone nowhere. 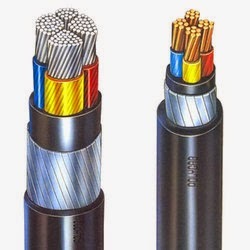 Even though aluminium cables require a thicker core of metal – and thus more insulation – the weak LME price means that the overall cost is still around 40 per cent lower than for copper cables, according to the French company Nexans, a leading cable producer. It's a trend already established in China and Gulf states where only 25% of insulated and overhead cables use copper versus 60% in developed economies. The gold price fell below the psychologically important $1,300 an ounce level on Wednesday after strong economic data outweighed safe haven buying on geopolitical concerns. On the Comex division of the New York Mercantile Exchange, gold futures for August delivery in early morning trade exchanged hands for $1,294.60 an ounce, down $5.60 from Tuesday's trading session. US gross domestic product grew at a 4% annual pace in the second quarter, according to government data released Wednesday. First quarter number were also adjusted, showing a smaller contraction. The much better than expected numbers – led by robust consumer spending and a pickup in construction and business investment – boosted the dollar which usually move in the opposite direction of the gold price. The data also strengthens the case for an accelerated winding down of the US Federal Reserve's economic stimulus program and a sooner than anticipated rise in US interest rates. 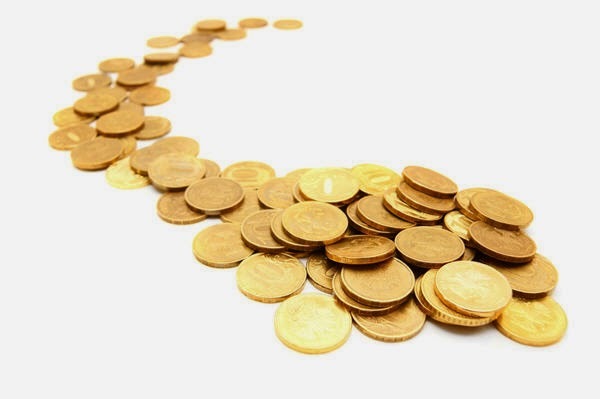 Higher rates increases the opportunity costs of holding gold because the metal is not income producing. Clouding the picture further was a 2% annualized rise in US inflation at its strongest rate in three years, which could also prompt a hike in rates. Though off its highs for the year gold is still up some 9% in 2014. 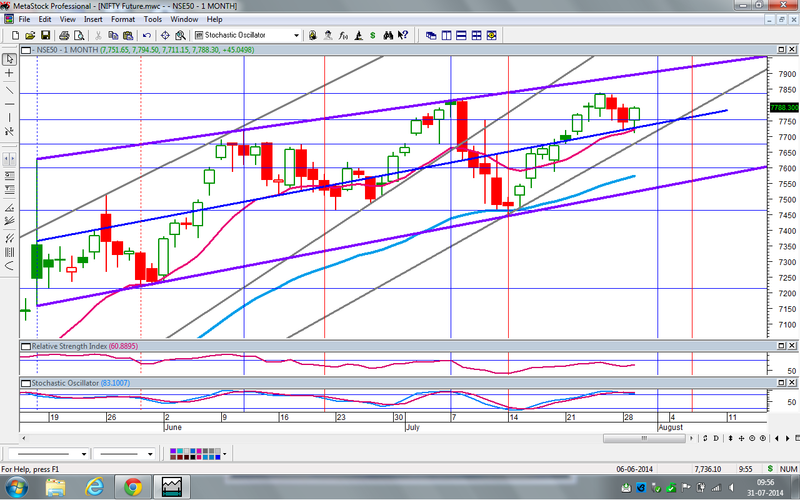 The key US employment report on Friday will give further direction for US monetary policy and the gold price. Former U.S. Representative Dr Ron Paul told CNBC's Jackie DeAngelis and the Futures Now Traders that the long-term case for gold remains firmly intact. In another interview with CNBC, Dr Paul reaffirmed his view that the nation's monetary and fiscal policies would result in massive inflation. He warned of a stock market crash and of the risk that currency debasement will lead to the continuing devaluation of the dollar. 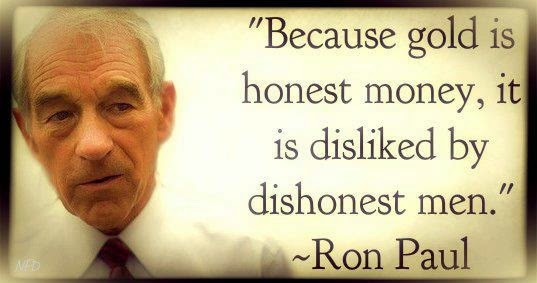 Ron Paul has long said America should "end the Fed," and he made that case once again on Tuesday. “In short term, it's very, very real, because people are going to make it or break it, you know, on this interpretation. But that has nothing to do with the free market, nothing to do with building capitalism, and savings, and the things necessary to have a growing economy." Aluminum was poised for a sixth monthly advance, the longest rally in a decade, on speculation of growing demand from improving economies in China and the U.S., the two biggest consumers of industrial metals. The contract for delivery in three months on the London Metal Exchange slid 0.3 percent to $2,016 a metric ton at 11:10 a.m. in Tokyo. The metal rose 2 percent yesterday, the most since July 2. Prices are up 6.6 percent this month, the biggest gain since November 2012. The U.S. economy rebounded more than analysts estimated in the second quarter, growing by an annualized 4 percent. An official gauge of China’s factory output due tomorrow is forecast to show the highest reading this year at 51.4, up from 51 in June. A separate measure from HSBC Holdings Plc and Markit Economics is expected to come in at 52. 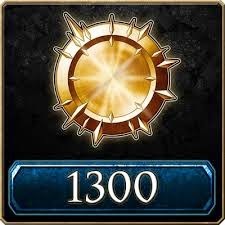 Numbers above 50 indicate expansion. Aluminum, used in everything from aircraft to beer cans, entered a bull market last week. Global demand will exceed supply by 579,000 tons this year, swinging into a deficit after sevens years of surplus, Goldman Sachs Group Inc. said in a report on July 23. Copper in London fell 0.2 percent to $7,113.50 a ton. The metal is up 1.4 percent this month, a third monthly increase. In New York, futures for September dropped 0.3 percent to $3.2335 a pound, while copper for the same month on the Shanghai Futures Exchange climbed 0.5 percent to 50,560 yuan ($8,190) a ton. On the LME, zinc fell, while lead, nickel and tin were little changed. 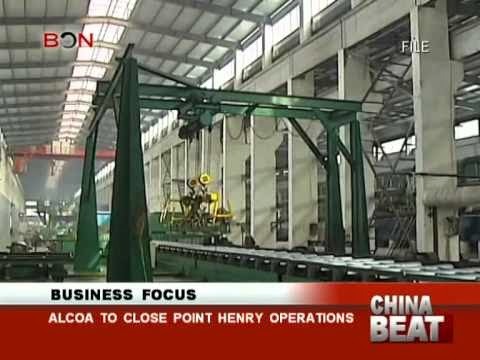 The Point Henry Smelter will close its operation tomorrow after functioning for more than 50 years as an aluminium smelter. The smelter is located near Geelong, Victoria, in the suburb of Moolap. It is a joint venture between Alcoa World Alumina and Chemicals Australia. Alcoa has already announced the decision to close the smelter and two rolling mills at Geelong and Yennora due to the pressure caused by the increased Chinese aluminium production and the high value for Australian dollar. As they found it to be economically unviable, Alcoa decided to take the decision of plant closure. The smelter closure will cause job loss to about 500 employees and 480 employees in the rolling mills. Geelong region is now facing some economies hard times. Ford’s car making center of Geelong will also close down its operations in 2016. The aluminium plant is powered by Anglesea coal mine and power station. How to succeed in your new business ventures? 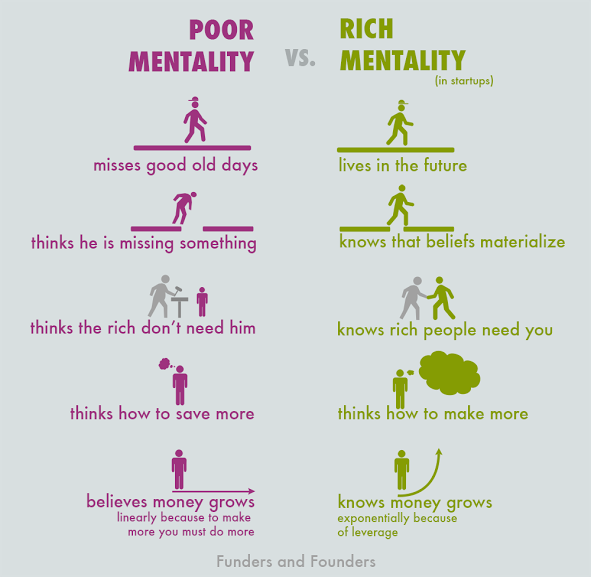 Always remember to have rich mentality . 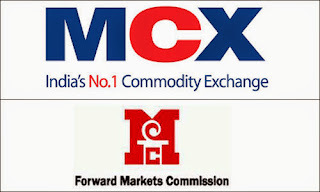 Last Friday, Freeport-McMoRan (NYSE:FCX) saw the light at the end of the tunnel for its Indonesian copper woes. Following a six-month export halt due to strict rules implemented in January, the company struck a deal with the Indonesian government to resume shipments of copper concentrate. The agreement is big news for Freeport and the copper market, and there are several key takeaways for resource investors. Reuters reported last Thursday that Indonesia had put out an offer to reduce taxes on concentrate exports in a bid to end a six-month halt of concentrate exports. In line with expectations, Freeport was the first to sign the deal, and with its export permit in place, the company plans to resume operations immediately. In January, Indonesia set a new 25-percent tax on copper concentrate exports; the percentage was to rise to 60 by 2017 as part of a plan to ban concentrate exports that year and pressure miners to refine concentrate domestically. That tax has now been reduced to just 7.5 percent for Freeport, and will drop further as the company invests in a domestic smelter — the more Freeport spends, the more the tax will be reduced, hitting zero once Freeport invests 30 percent of the smelter cost. The company will also pay higher royalties for its copper and gold , but Reuters states that Freeport’s deal with the Indonesian government has certainly paved the way for other miners to follow suit. Freeport Indonesia CEO Rozik Soetjipto told Reuters, “[i]n terms of permitting, everything is OK. We still have to load the ship, and this may take a few days.” Freeport will export 756,000 tonnes of copper concentrate in the second half of 2014. The company’s shares jumped 1.79 percent on the news on Friday. It is always wise for investors to keep an eye on what larger miners are up to in commodities spaces. In this case, the news that Freeport is now planning to export roughly three-quarters of a million tonnes of copper concentrate in the second half of 2014 is bound to have some effect on the red metal. Copper prices have gained in recent weeks, but according to Reuters Africa, prices opened steady on Monday following news of Freeport’s deal with Indonesia. Also important for investors to note is the fact that the resolution roughly correlates with elections in Indonesia this month. The Associated Press reported last Tuesday that Jakarta Governor Joko Widodo will replace the current president, Susilo Bambang Yudhoyono, in October. In a Wall Street Journal article from June 5, Ignace Proot, an analyst with Sanford C. Bernstein & Co., notes how important it is for investors to keep track of political changes. Commenting on Newmont Mining’s (NYSE:NEM) decision to declare force majeure last month, the analyst stated that the company’s timing made sense as “[there would] be a new president in the fall” who might be more mining friendly. Furthermore, the Indonesian export story represents the importance of paying attention to resource nationalism. The Journal stated on Friday that Freeport’s deal “represents a victory for Indonesia, which has tried to gain greater control of its vast natural resources and milk more in taxes and royalty payments from foreign miners and investors.” As Copper Investing News has previously explored, there are always multiple stakeholders involved, and it is important for investors to keep track of how government interests might affect mining projects. In terms of important factors to look for when investing in a company, management is always a key sticking point. Freeport-McMoRan and Newmont Mining have taken differing approaches to the Indonesian export ban, and their strategies are interesting for investors to note. Writing for The Motley Fool earlier this month, Rich Duprey referenced the saying that one can “attract more flies with honey than with vinegar” to explain how Freeport and Newmont have approached the issue. While at that point Freeport had managed to reach a memorandum of understanding with the government, Newmont had filed an international arbitration case and was facing an “escalating war of words” with the government. Duprey favors Freeport’s approach. However, he also said that “there are reasons why the two miners have likely chosen different courses of action.”A mere 6 percent of Newmont’s annual production comes from Indonesia, while Freeport depends on the island nation for 20 percent — a much more substantial consideration. In any case, the Indonesian export ban story certainly illustrates the importance of gaining an understanding of multiple stakeholder interests when investing in the resource sector. At close of day on Friday, Freeport’s stock was slightly up, having gained 1.23 percent to trade at $37.99. Zinc prices matched three-year highs hit the session before on Tuesday and lead inched to a new 17-month top as investors ploughed into metals that have lagged this year and appear undervalued on prospects of reviving global growth. Manufacturing growth in the world's top metals user China expanded at its fastest clip in 18 months in July, an initial survey showed, while in general the U.S. economy has gathered pace, with a brightening picture seen in its labour market. This week, second quarter growth in the United States, a jobless report, and an official reading of China's factory health are expected to show fresh signs that a global economic revival has taken hold. "The macro environment is improving, putting base metals on a solid footing going into the second half, but it's not enough to tighten up the complex as a whole so the market is focusing on those with supply side issues. Clearly zinc and lead are some with the biggest," said ANZ strategist Daniel Hynes in Sydney. Zinc supply in particular would suffer with several top mines drying up, including Century in Australia, while a recovering construction industry would revive demand from galvanisers. "The direction is right. It's probably gone a lot quicker than I expected which opens it up for some profit-taking (but)...I wouldn't expect to see a significant sell off," he added. Three-month zinc on the London Metal Exchange matched Monday's three-year peak of $2,416, signalling investors' appetite for the contract that has jumped nearly nine percent in July. "The theme from the physical trading community is that zinc has risen too far, too fast... and that the market has to correct downwards. We know that it will, the question is just how high it goes first," said broker Triland in a note. 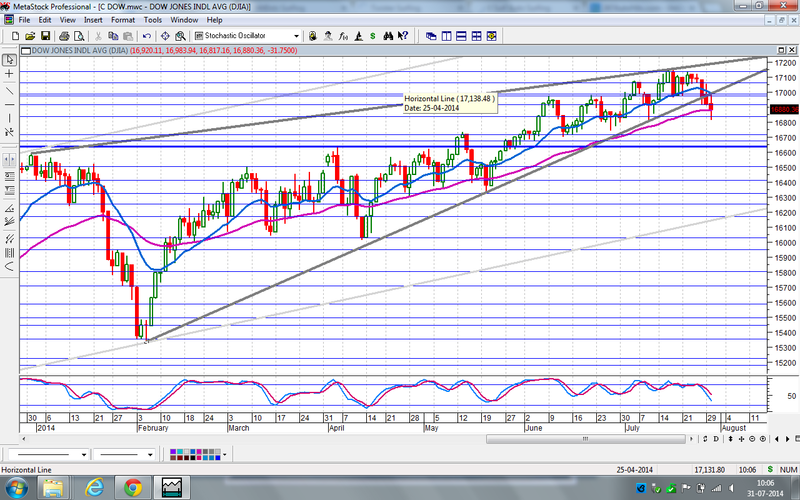 LME lead rose to $2,305, a new top since late February 2013. Prices moved into positive territory for the year in July and are now up almost four percent for the year. Lead on the Shanghai Futures Exchange (ShFE) climbed as much as 2 percent, adding to 5 percent gains a day earlier, before trimming gains to 1 percent at 15,320 yuan ($2,500) a tonne by 0228 GMT. 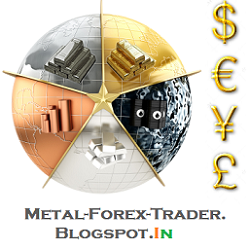 LME copper edged up 0.1 percent to $7,124.50 after small losses in the previous session. U.S. economic growth likely rebounded in the second-quarter from a winter-induced slump at the start of the year and will probably continue to gather momentum through the rest of 2014. The reading is due on Wednesday. 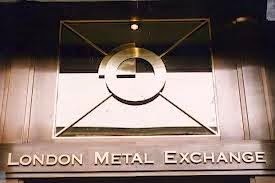 Elsewhere, the London Metal Exchange (LME) is likely to move quickly to implement its tough warehousing rules to cut backlogs if it is successful at an appeal hearing this week, metals market sources said. Zambia’s copper output in the first quarter of 2014 increased by more than 100,000 metric tonnes. During the first quarter of 2013, the production was about 300,000 tonnes. During the period January to March, the exact copper output stood at 473,249 metric tonnes, rose from 399,515 tonnes of the same period previous year. 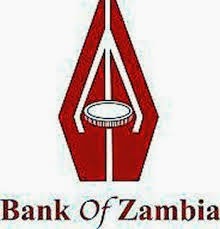 Michael Gondwe, the Bank of Zambia Governor while announcing the copper production figures, said about the current developments taking place in the mining sector all over the nation. He added that the copper output was increasing by 18 pct on YoY basis. Dr. Gondwe added in a statement that the first five months earnings from copper export rose by 7.4 pct to about US$3,209.1 million due to the hike in export volumes. And this figure during the same of last year was about US$2,987.5 million. The export volume has increased by 19.4 pct to about 477,485.3 metric tonnes from 399,919.8 metric tonnes of same period of 2013. But, the average realized copper price has declined by 10 pct to about US$6,720.86 per tonne from US$7,471.77 reported during the same period last year. Dr Gondwe mentioned in the statement that copper price decline by 9.2 pct to about US$6,691.00 a tonne as at June 11 2014 from US$7,360 a tonne at December 2013 end, impacted on market sentiment. He added that the government was focusing to implement diversified export base by right interventions in economic sectors and significant activities for encouraging potential exports. The price of gold inched lower Monday on a stronger US dollar but remained above $1,300 an ounce as mounting tensions over Ukraine and Gaza sustained safe-haven demand for the precious metal. Spot gold changed hands at $1,303.30 an ounce around 1:30 p.m. EST, down $5.00 from Friday’s close of $1,308.30. Gold futures for August delivery traded at $1,307.00 per ounce in the afternoon on New York’s Comex, up $1.70, or 0.13%, from $1,305.30 seen Friday. Signs that the US economic recovery is strengthening boosted the dollar and lessened demand for gold as an alternative asset. According to Reuters, the dollar floated near six-month highs against a basket of major currencies Monday, with speculation about an early US interest rate hike due to an improving jobs situation putting downward pressure on gold. But fighting in Ukraine on Sunday between pro-Russian rebels and troops loyal to Kiev, along with Washington organizing to impose sanctions on Moscow, kept the yellow metal from falling below the $1,300 level. Traders said gold is likely to remain around that level until Comex gold options for August expire later in the day, according to the news agency. Continued conflict in Gaza has provided gold with additional support. Although clashes there abated Sunday, no comprehensive deal to end the fighting between Hamas militants and Israel is in sight, the news agency said. Investors tend to buy gold as a kind of insurance during times of political or financial turmoil. Gold has experienced double-digit gains this year, hitting a 3.5 month high on July 10. Speculators are fleeing natural gas after prices dropped below $4 for the first time since December and power plant production fell to a 13-year seasonal low. Hedge funds reduced net-long positions, or bets on rising prices, by 11 percent in the week ended July 22, the U.S. Commodity Futures Trading Commission said. Bullish wagers have fallen 51 percent since February. Futures slid as the output from electricity generators, the biggest consumers of the fuel, fell 11 percent in the week ended July 19 from a year earlier to the least for the period since 2001, according to the Edison Electric Institute. Mild weather and a record pace of inventory gains may push prices lower in the next three months, Goldman Sachs Group Inc. said. Natural gas dropped 7.9 percent to $3.772 per million British thermal units on the New York Mercantile Exchange in the period covered by the CFTC report. Prices closed at $3.781 on July 25, capping a sixth weekly decline, the longest string of losses since the first quarter of 2010. Gas inventories, which declined to an 11-year low in late March, have rebounded at the fastest pace since 2001, U.S. Energy Information Administration data show. Stockpiles rose 90 billion cubic feet to 2.219 trillion in the week ended July 18, a gain bigger than the five-year average for the 14th straight week, according to the EIA. “While we previously believed that risks to 2014 prices were skewed to the upside, we now see downside risks to U.S. gas prices in the next three months,” Daniel Quigley, an analyst at Goldman Sachs in London, said in a July 22 note to clients. Power generation in the lower 48 states totaled 82,614 gigawatt-hours in the seven days ended July 19, the least since the week ended June 13, Edison Electric data show. 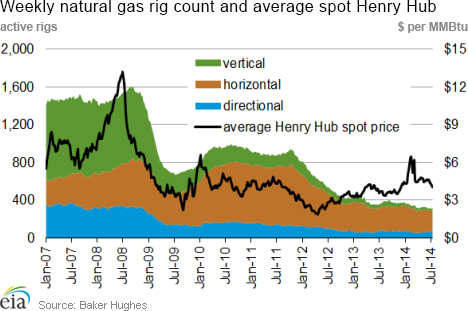 Gas deliveries to power plants dropped 13 percent this month to average 25.9 billion cubic feet a day as of July 25, the lowest for the period since 2009, according to LCI Energy Insight in El Paso, Texas. Futures may find support between $3.50 and $3.75 for the rest of the stockpiling season, with those prices prompting power plants to switch from coal, Teri Viswanath, director of commodities strategy at BNP Paribas SA in New York, said by phone on July 24. “The problem with the emergence of this cool fall-like weather is that we don’t expect to see a slowdown in those inventory injections until the reemergence of heating demand,” she said. In other markets, the downing of a civilian airplane in Ukraine and stockpiles at Cushing,Oklahoma, at a six-year low enticed speculators back to the oil market, boosting bullish bets from a six-month low. Money managers raised net-long positions in benchmark West Texas Intermediate futures by 7.3 percent to 278,116 futures and options combined in the week ended July 22, CFTC data show. Long positions rose 1.1 percent 307,739 while shorts dropped 35 percent to 29,623. WTI futures advanced 4.5 percent to $104.42 a barrel on the Nymex in the period covered by the report. The contract closed at $102.09 on July 25. Net long gasoline bets fell 22 percent to 34,115. Futures slipped 0.6 percent to $2.8807 a gallon on the Nymex in the week covered by the report and settled at $2.8653 on July 25. Gasoline at U.S. pumps, averaged nationwide, slid 0.7 cent to $3.543 a gallon on July 24, the lowest since March 28, according to data from Heathrow, Florida-based AAA, the nation’s largest motoring group. Retail prices are down 4.1 percent from a 13-month high on April 26. Money managers’ bets on ultra-low sulfur diesel flipped to a net short position for the first time since November with 1,520 contracts, the CFTC report showed. Futures fell 0.1 percent to $2.8542 a gallon in the report week and closed at $2.9157 on July 25. Net-long positions on four U.S. natural gas contracts declined by 25,772 futures equivalents to 201,090, the least since Dec. 3. Long positions fell by 4 percent to 472,613, the least since February 2013. Bearish bets gained 2.3 percent to 271,523, the most since Dec. 10. You can get the same Economic Calendar at https://www.dynamiclevels.com/report/economic-calendar. German industry would support "100 percent" tougher sanctions against Russia over the Ukraine crisis, the chairman of a major business lobby, the Committee on Eastern European Economic Relations, said Friday. Punitive measures now being considered by the EU would hurt German businesses, but "if there is a price to pay then we will pay it," the chairman, Eckhardt Cordes, told the business daily Handelsblatt. Cordes, who has so far spoken out against sanctions, said the situation had changed with the downing a passenger jet over eastern Ukraine, which Western powers have blamed on pro-Moscow rebels. The handling of the disaster had been an "act of inhumanity", said Cordes, the former CEO of retail group Metro, who spoke of "disturbing conduct of separatists rummaging through corpses." The committee, which represents more than 6,000 German companies with business links to Russia, had previously warned sanctions would risk many of the 350,000 related German jobs. In the latest interview, Cordes criticised Russian President Vladimir Putin for supporting the rebels in the former Soviet satellite state. 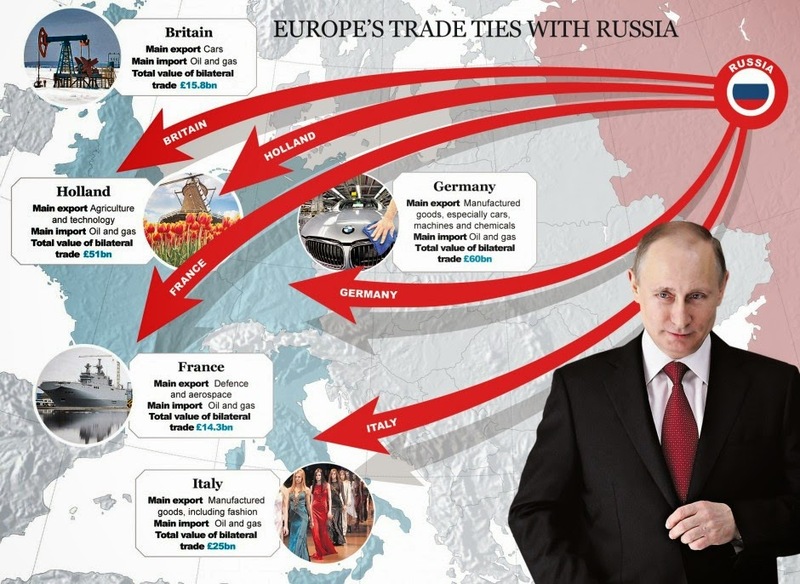 "If Putin continues along this path then this is not the path of German industry," he said. "It is now urgently necessary that he asserts his influence over the separatists, and if he doesn't have any influence than he better get some." Will Aluminium continue its rising trend? China's Renimbi / Yuan Updates. The Polar Vortex Is Back In The Middle Of July. What's Your Trading Brain Type ?